Hello gamebookers! I'm really dropping the ball with some posts! I blame parenthood. Anyway, A.J. 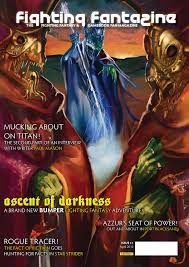 Lauer is the author of the fabulous Armageddon gamebook and she is doing a Choose YOur Own Adventure Theme this month. When did you decide to write a gamebook? What inspired you to write about Armageddon? Well, 2012 was the year of the supposed Mayan Apocalypse, hence the party theme. We actually initially called the book 'Choose Your Own Armageddon' but had to change it for copyright reasons. Do you have any hints for writing a gamebook? Go with the 'what if's! What I love about gamebooks is that they give both the author and the reader a chance to say, 'what if this happened in the story?' Especially in the interactive fiction genre - as an author it is fun because I don't only have to pick one direction for the story to go. I get to play with lots of possibilities. 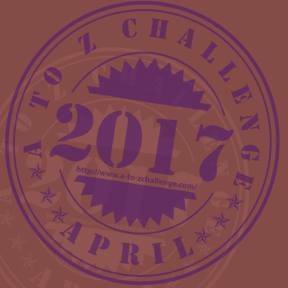 How did you get involved with the April A to Z? I guess 2012 was a big year for writing for me. That spring I was looking for writing challenges as ways to motivate myself and help myself get back into a habit of writing regularly, and a g**gle search brought me to April A-Z! I think seeing all those A-Z posts was part of why Dan asked me to help write Armageddon. Tell us about your A-Z theme of CYOA. What features of CYOA are you going to focus on? So, my theme is actually interactive fiction this year. I'm going to write a scene every day and let commenters pick where the story will go (with choices that correspond to the next day's letter, of course). I only know what happens on the first day so I'm really excited to see where we end up! Do you have any gamebook plans for the future?